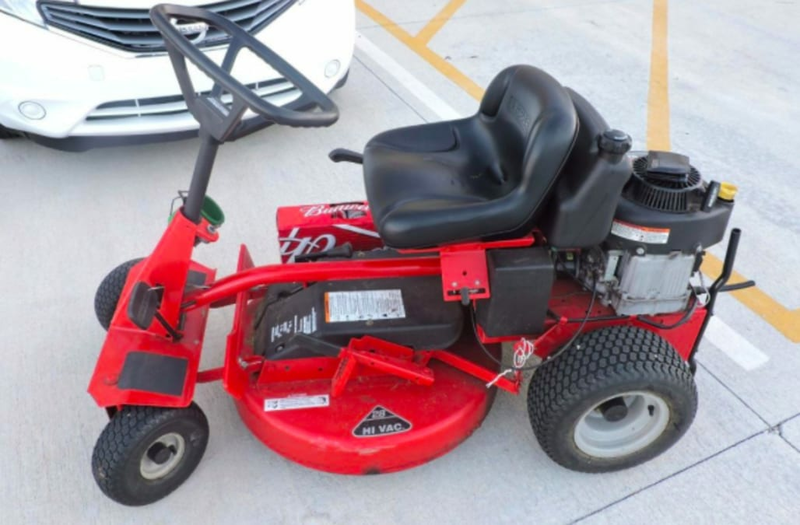 Today in things you didn't know could happen, a Florida man was arrested for DUI while riding a lawnmower. Kenneth Burton Alleshouse, 58, was spotted by police in Port St. Lucie on Nov. 3 driving his lawnmower erratically on an access road while carrying a case of beer, according to WPTV. The officer who stopped Alleshouse reported that he could smell a strong odor of alcohol coming off of the suspect. A DUI investigation revealed Alleshouse's BAC to be three times over the legal limit. He was arrested for DUI and taken to the St. Lucie County Jail. This isn't the first bizarre instance of DUI the Sunshine state has seen. Last week, a 53-year-old Florida woman was arrested and charged with driving drunk while riding a horse down a busy highway.